Another blast from the past, discovered while my Mum was sorting out her wardrobe. 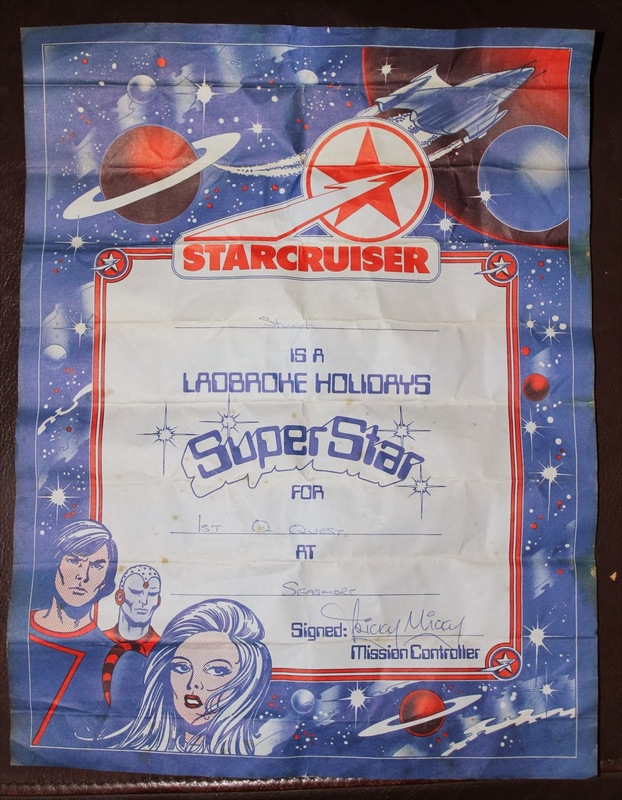 As well as loads of old school work, she also found this - a certificate which I won whilst we were on Holiday at Seashore holiday camp in Great Yarmouth during the mid 1980's (probably 85 or 86). I can't remember what the Q Quest was - I think it involved us having to search the holiday camp for answers to certain questions, and I'm sure the only reason I won was because nobody else bothered to take part. That sounds about right considering my usual lack of luck at winning anything remotely good! I'm sure I won some other prizes too which are all now no doubt hidden in the depths of some landfill somewhere.